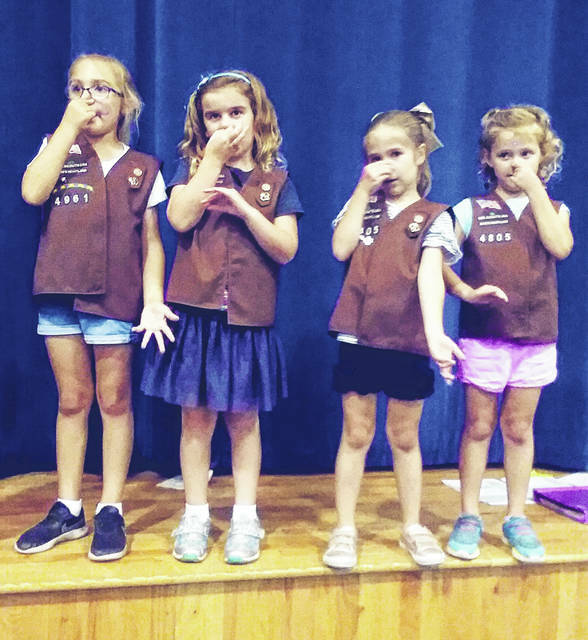 Brownie Scouts and others interested in scouting learned new songs during Big Walnut Girl Scouts’ recent S’mores and More event. What’s better than learning how to make s’mores? Learning about Girl Scouts at the same time. During the event, parents learned about Girl Scouts, while the girls made SWAPS (Special What-cha-ma-call-its Affectionately Pinned Somewhere), learned Girl Scout songs, had their faces painted, and ate yummy indoor s’mores. Troops are forming now for Girl Scouts in grades K-12. Learn about what one can do in scouting, including being a go-getter, innovator, risk-taker, and leader or G.I.R.L. For those who missed thee S’mores and More event but are interested in Girl Scouts, email: BWGirlScouts@gmail.com for more information.